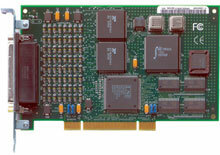 One of the industry's best-known multi-port serial I/O cards, Digi's AccelePort Xr is designed for use in multi-user and remote Access Service (RAS) applications. It is a PCI Universal Card that supports RS-422 serial communications, multi-strike surge protection on each and every pin, 32-bit IDT RISC processor, up to 921.6 Kbps throughput, software configurable bus port and a wide range of accessories like fan-out cables and external I/O connector boxes. The CPU utilization is optimized by efficiently handling serial I/O communication interrupts, character processing and data transfers. It offers an ideal solution in retail/ point-of-sale, hospitality (restaurants/hotels), data collection and remote access applications. The Digi 70001199 is also known as DIG-70001199	.